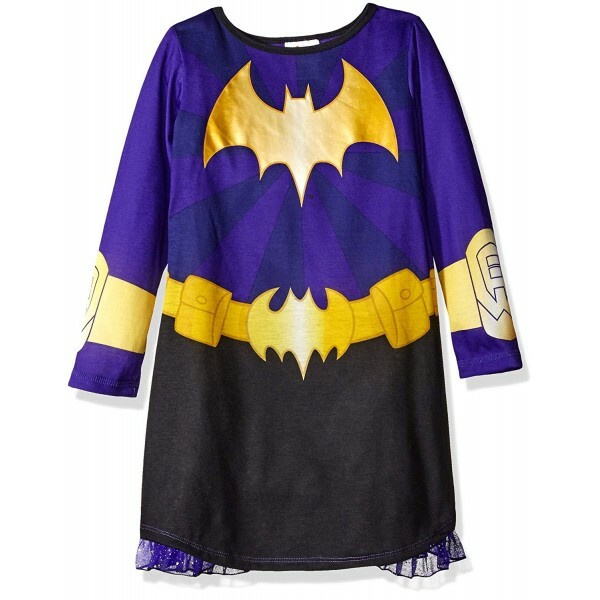 She'll have dreams full of action and adventure with this Batgirl nightgown with a removable cape! 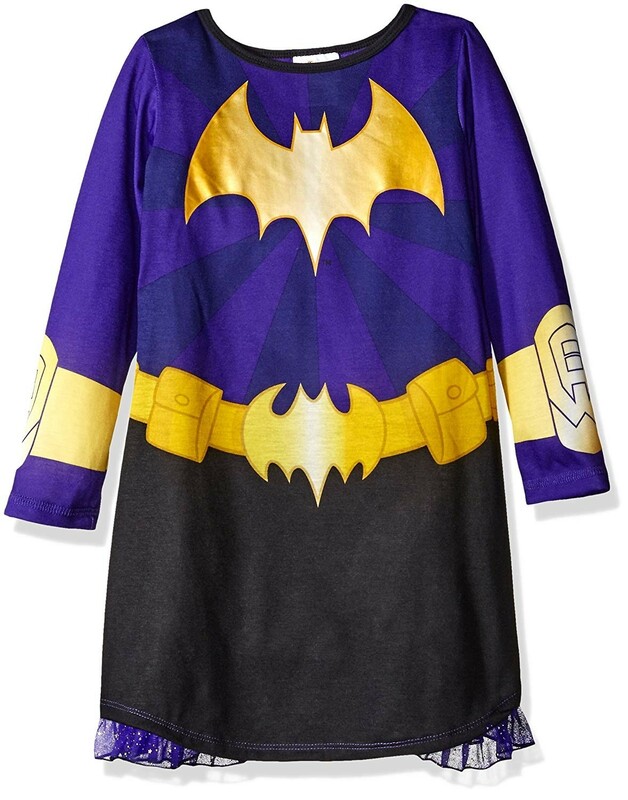 This officially licensed nightgown is modeled off the appearance of the DC Super Hero Girls character and features a foil bat symbol, a printed utility belt, and, of course, a matching purple cape that easily attaches and detaches with hook and loop fasteners. 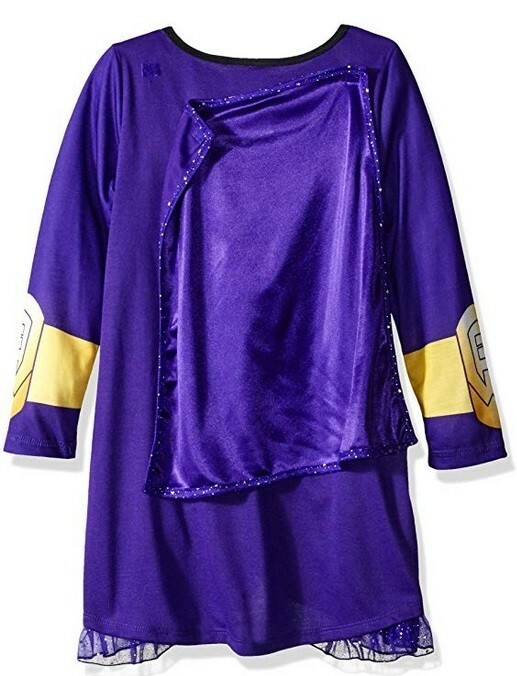 Available in kids' sizes 4/5, 6/6X, 7/8, and 10/12.